Steady pressure flow plays a vital role in many different manufacturing applications. When accuracy and stability are a must, we find it beneficial for manufacturers to look into using OEM pressure transmitters. When choosing a compact OEM pressure transmitters, you can expect to see many benefits. In fact, the design of its parts feature proven sputtered thin film technology to optimize precision. You can also enjoy the Psibar CVD, capacitance, and MMS-type pressure sensors that come standard as process and level controls. 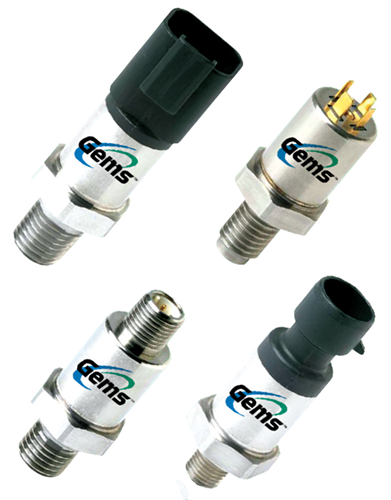 Best of all, some offer dual pressure and temperature sensing options, if needed. 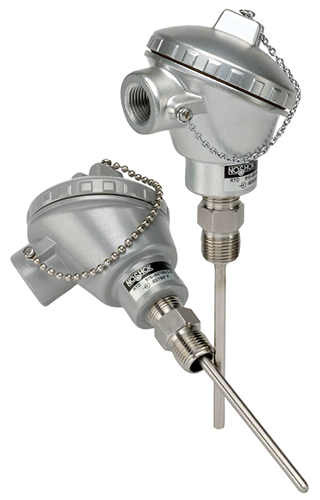 With durable materials, the pressure transmitters can handle high-volume use on the toughest jobs. From stainless steel wetted materials to piezoresistive ceramic sensors, there are so many great options when choosing the right transmitter for your application. Depending on your need and preference, here’s a list of the OEM transducers we offer at Kodiak. Regardless of which parts you choose for your application’s needs, we’re here to make sure you get the best product for your application. Contact us today. We’d love to hear from you! Although a virtually straightforward task, selecting an Isolator—specifically a 4-20mA Isolator— involves more than simply comparing the number of channels and the cost per point. 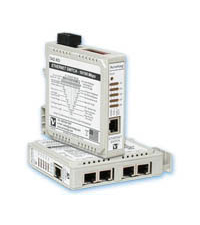 Signal isolators receive 4-20mA process current inputs and provide an isolated 4-20mA output signal. On multi-channel units, each channel operates independently and is isolated from the others to prevent interaction between channels. Galvanic isolation eliminates ground loops, reduces, noise, and blocks transient signals. A two-wire system using output loop powered devices is a low cost approach. The I/O modules in this system use power from the output loop to operate and control the 4-10mA loop to the load. This is characterized as a sinking output because the module requires an external power source. Without a power source, a 4-10mA Isolator that powers the output loop is required. This type of Isolator is characterized as having a sourcing output. If the I/O module can take power from the input loop to operate and power the 4-10mA output loop to the load, a two-wire system using input loop powered devices is a low-cost approach. Otherwise, a four-wire device must be used. To determine if the I/O modules are correctly matched to an application, the voltage level to the external power source must be determined, along with the total input impedance of all loads, and whether other peripheral devices are connected to the input loops. If you could use some help deciding which 4-20mA isolator is right for you, contact us. We offer more than 100 modules that interface with a vast array of voltage, current, and strain measuring devices, and they are designed to integrate seamlessly into your existing process. Keeping personnel protected against live voltage is a fundamental and crucial electrical safety measure. Answering the important question, “is there voltage present?” is simple and effective using a quality voltage indicator engineered by experts you can trust. 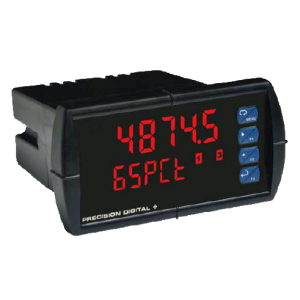 Kodiak Controls provides industry-leading automation and control products, and we are proud to present the latest three-phase voltage indicator: UPA-130 Voltage Alert by ATC Diversified Electronics. The UPA-130 Voltage Alert reduces the risk of electrical arc flash by pre-verifying the electrical isolation from outside of an electrical panel. Presence of hazardous conditions associated with stored energy is indicated by an LED flash or illuminate. The Voltage Alert is powered by the same voltage it indicates and is available in three configurations depending on your needs. Simply install through a 30 mm panel knockout and you’re good to go! It’s important to ensure your personnel are protected from devastating electrocution incidents while complying with necessary OSHA 1910 Subpart S and OSHA 1926 Pubpart K regulations. As this standard continues to evolve, it’s necessary to stay updated with the latest equipment in order to determine the likelihood of arc flash. 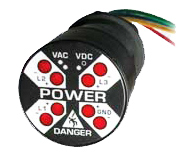 The UPA-130 Voltage Alert provides you with the proper protection. To learn more about ATC Diversified Electronics’ UPA-130, contact us today. We’d love to hear from you! To streamline your company’s manufacturing processes, efficient industrial control solutions are an essential component regardless of the industry. Whether your company specializes in water treatment and ground remediation, environmental applications, printing and packaging, petro-chemical, food and beverage, or machine tool, die casting, and extrusion, efficient industrial controls can increase safety, save time, and improve performance. Regulating the temperature of manufacturing process is essential for the safety of employees, equipment, and materials—and the overall success of your company. Since even the smallest temperature fluctuations can cause differences in the end results, temperature and process controllers such as Kodiak’s resistance temperature detectors, reduce the need for operator involvement while handling applications of any size with ease. To ensure large systems and complex processes operate seamlessly, a centralized measurement and control system is a vital tool for manufacturers. However, assembling data into a single location can be time-consuming and logistically challenging. For efficient I/O distribution, our modules are multi-functional to save time and space while increasing productivity. Interactive displays for industrial controls and instrumentation are the ideal interface for improving efficiency in manufacturing processes. From mounted displays to rugged, durable hand-held process controllers for tasks in the field, interactive displays ensure the best possible performance. To learn more about the efficient industrial control solutions Kodiak offers, contact us today. We’d love to hear from you.